Class beings at 9AM, just bring your laptop! 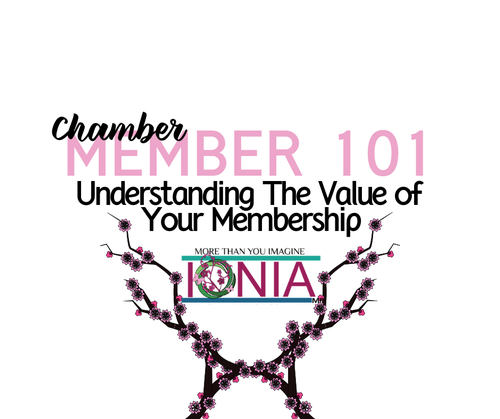 Your membership gives you exclusive access to free specialized tools to promote your organization via the new online Member Information Center. Membership listing - update your listing to ensure everyone has access to complete, up-to-date information. Important: Completing your profile is critical to gaining increased visibility and exposure! Deals - offer coupons and special deals; fellow members may well be your best customers. Job postings - submit your own job openings. Advertise events - add your events to our online event calendar displayed with quick links; use these links to share in your social media, text to mobile devices, add to calendar, or email to others. Network with other members - check out other member listings, jobs, deals. Deals, Job Postings and Events get nearly 500 hits/week on our site. We also pull from these listings to share with our nearly 800 email subscribers bi-weekly with the eMember EDGE.